Hub Planner Timesheets allow you to create an approval process workflow for your entire company of resources, projects, events and consultants. You can enable the approval process globally in your Settings under timesheets, and choose on a project-to-project basis which project you want to go through the approval process. A timesheet approval process gives Admins and Project Managers the ability to directly Manage the Project and/or Event time submitted by teams. All data is fully represented in reports giving you a clear idea of what to invoice a client for example. The workflow is built with maximum visibility and flexibility allowing you to determine which Projects are required to go through the approval process. Time entries statuses can easily be changed and a smart color coding gives the user feedback of what the timesheet for the week looks like. An illustration of the Hub Planner Timesheets flow is displayed below. A resource can enter time on any day of the week against a project or an event. 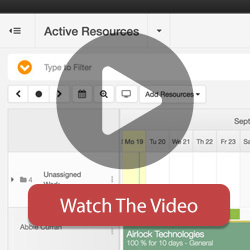 If there is suggested / booked time for the resource it will be displayed in the timesheets. The resource can choose to accept this or override it with new time. Once time is entered into the timesheets component, it goes automatically to an unsubmitted state. This time is still visible by Admins and PM’s but indicates you may not be ready to submit it yet as final. The unsubmitted time is also available in reports. The resource can choose whether to submit a column of time or all Project / Event time for the entire week at once. Once the resource submits the time, it goes either through the approval workflow or the non-approval workflow (default). You can enable the approval workflow on each project or event. Clicking submit time on this workflow will change the time entry to a submitted status. You can choose whether this is locked or not from the settings. 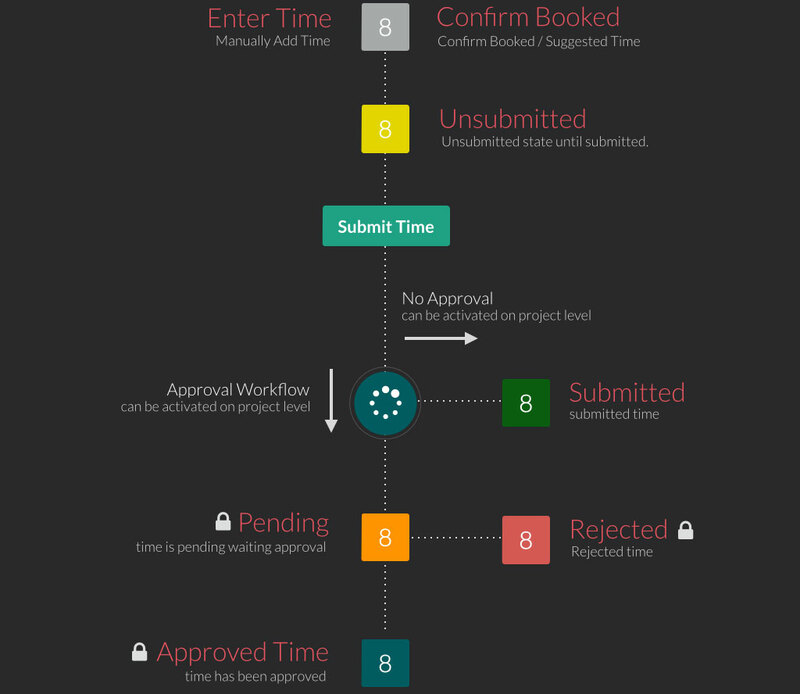 If the approval workflow is activated then the time that is submitted goes into a pending state. This is by default locked to prevent a user making changes (But can be changed). A Project Manager or an Admin can change the status of any time entry they are responsible for and have access to via the manage tab in timesheets. Once they approve the time the status changes for the resource. By default this time is locked to prevent changes. An Admin or Project Manager can choose to reject the time that is submitted for approval. Time that is rejected will be marked with that state and locked by default. The locked state for each status in the workflow can be changed in your timesheet settings. By default the pending, approved and rejected status are auto-locked. This means a resource cannot edit them once in this state. Individual items can be unlocked via the manage tool. The color for each status can be changed for each workflow status above in your timesheets settings to allow for maximum customisation. A manage table is available for users with this extension installed. The manage timesheets table is using a table based accordion layout to help you manage effectively your own time or your teams time. The table is loaded with actual time entries from the team’s timesheets. You can manage everyone’s time down to the day level. Rollover the hotspots in the image below to see an explanation for the various features of the table. A complete Time Sheets reference guide can be found here.